One of my favourite genres, for basically as long as I've been playing video games, has been the simulator. There's something that I've found endlessly fascinating about building up something, from an empty patch of land to a thriving city or business, and as nerdy as this will sound, but I love the amount of data that these games create and allow you to track. A good simulator is an exercise in subtle tweaking in order to create substantial improvements. And I've always found simulators to be incredibly educational, and that in itself has given these games value to me. Obviously they're greatly simplified takes on the complexities of whatever real world thing they're simulating (because the real-world things are generally incredibly complex), but the modelling is enlightening; how city planning strategies can affect the lives of people that live in an area. How transport networks might affect how a city develops. How a theme park needs to balance out the experiences that it offers. So with that in mind, I thought I'd take a quick look at some of the best classic simulators - these are very much the games that got me into the genre, and I'll always have the time for them, if they should ever be released in a format that I can play. This was one of the very first dedicated simulators I played. 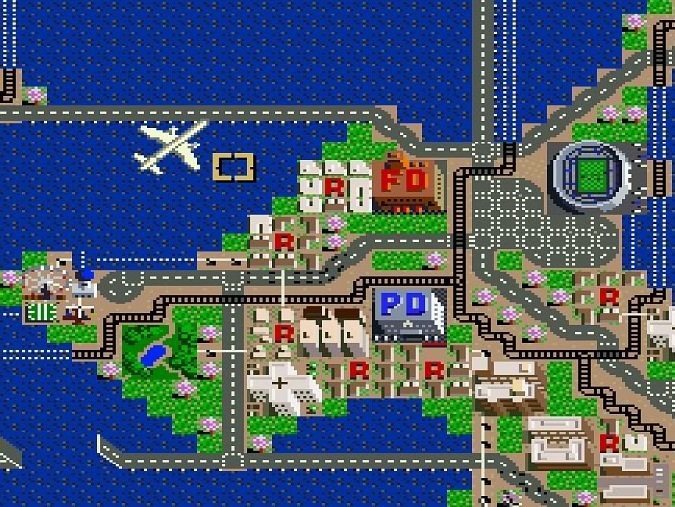 If not the first, and it was a masterstroke on Nintendo's part to pick up a relatively dry simulator (the original Sim City), and then apply a very Nintendo coat of paint to it. Nintendo introduced a host character, who offered the game a lot of personality, unique disasters (a Bowser attack!) and all kinds of nice bonus buildings to unlock along the way. That, and lovely music and graphics that really stood out on the Super Nintendo as colourful and pleasant. This game became something of a family obsession, because it was one that my younger brothers and parents alike could appreciate, and there were so many different maps and the like to play around with. After really enjoying Sim City, I then started to look at more examples of the genre, particularly on PC, since back then there weren't that many simulators that were released on console by any means, and I came to realise that in many cases this genre was dry, even academic. 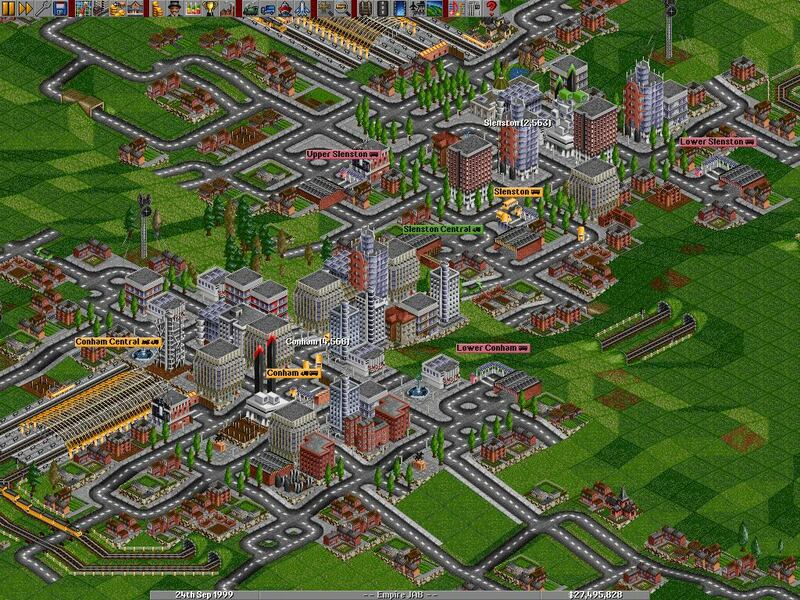 But after using Sim City as the accessible "in" to the genre I then realised that I rather liked that. Transport Tycoon was the game that convinced me on the value of trains and other mass transport as part of urban development. Indeed, it wasn't something I'd ever really thought about before playing the game for the first time, so it was clearly educational on that basis. Having come from the likes of Sim City, it seemed odd to me at first to be playing a game in which I couldn't set down buildings... or do anything but build train networks, bus routes, and similar. But as I started to play it, I quickly realised that my decisions were having a major impact on how the city around me was building up, and then I became very hooked on the idea of understanding how to optimise the transport networks to benefit the city. This has been one of the sub-genres of simulator that I've never actually stopped playing since. There's a similar series out of Japan called A-Train, which I spend a lot of time with (most recently on the 3DS), and on PS4 Railway Empire was just released, which itself has had be hooked. What can I say? I really like public transport managed well, and living in Australia, I kind of have to play video games to indulge in that fantasy (perhaps the various governments here should spend some time playing these games to understand the value of transport). Is there anyone out there who wouldn't love to run a theme park? I doubt it, honestly. 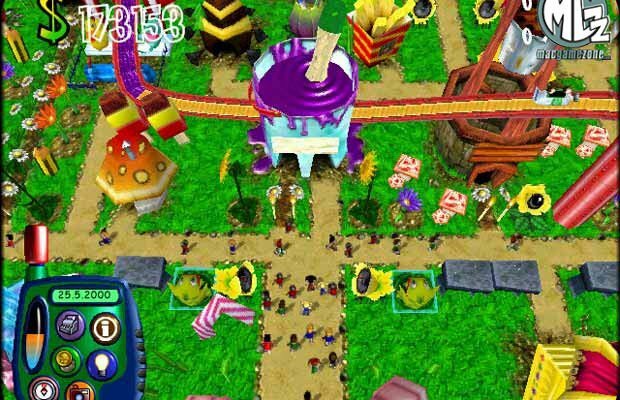 Back when I was growing up, there were two theme park simulators of note; there was the ever-popular Rollercoaster Tycoon (itself amazing), and then there was Bullfrog's Theme Park series, which I personally preferred. See, I always felt that there was more personality in Theme Park; the rides were zanier, the graphics bolder and more cartoonish. And - and this can't be emphasised enough - in Theme Park World, you could even ride your own rides. That was the dream, back then. Sadly, both Rollercoaster Tycoon and Theme Park ended up in the hands of terrible publishers that did terrible things with them (Atari and EA, respectively), but thankfully, Planet Coaster came along to save the day. All we need now is a PlayStation 4 port. I've played most of the Sim-thing games (at least until EA completely ruined the franchise over the last game or two). 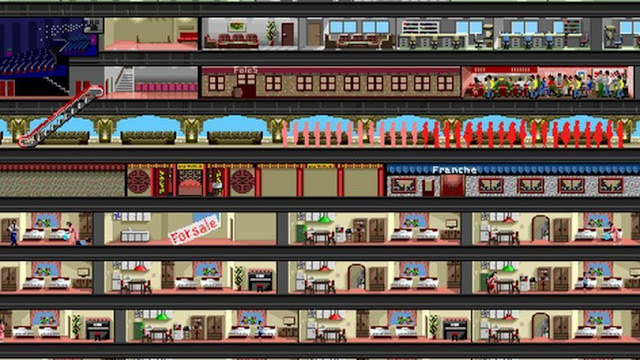 Of all of them, I'd have to say that Sim Tower is my favourite. I find office blocks fascinating, with how they're laid out, the role they have in supporting the businesses that occupy them and, especially over the last decade or so, how they're increasingly becoming vertical communities, with recreational facilities for residents, a mix of residential and commercial spaces, and retail infrastructure down at street level. Sim Tower came a bit before the more extreme examples of this have stated to emerge (in many cases you can even live in one of these buildings without ever having to actually leave its four giant walls), but, showing how far ahead of its time it was, it still set you with that goal of isolationist utopia. What was perhaps most interesting about Sim Tower is how much it was able to take from Sim City and simply orientate it vertically, without the game ever feeling like it was "watered down" or too simple. I actually got into Anno right at the start, before it was acquired by Ubisoft, and while Ubisoft hasn't quite ruined the series like EA has driven Sim City into the ground, I still believe the original was the best. Coming off the Sim City games, the greater cohesion and smaller focus of Anno was appealing - Sim City was about building metropolises, where Anno was about building a much smaller colony. As such, there was a greater sense that every person and building was important, and a greater focus on fitting the buildings in together, in a way that's felt oddly Tetris-like, to maximise the efficiency of the overall space. With less leeway to play with, I always felt that Anno was the more challenging to really get the most out of, and that lesser focus on data, and greater emphasis on careful planning, made for a game where I found myself caring about the cities that I was creating that much more. They seemed to have personality, in other words, and I hadn't really felt that way about simulation games again until Aven Colony came along and did much the same thing, only with a setting deep in space. It was impossible to take Theme Hospital seriously, which is amusing in itself, because hospitals are deathly serious and important things in the real world. 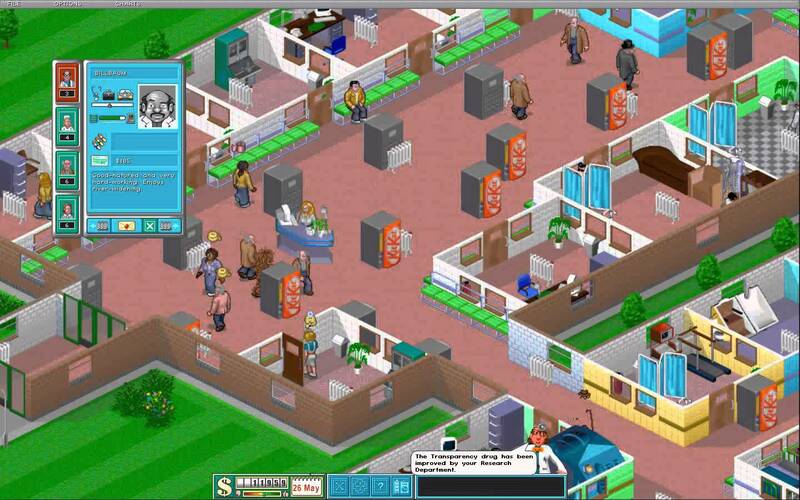 But the satirical approach that Theme Hospital took was important in highlighting the absurdity with which people's health is commodified and these hospitals are run as for-profit businesses. So enter the dark humour with patients suffering from ludicrous aliments. You'll need to build rooms for the patients, expand facilities and research in order to treat them, hire staff, and make sure you're still making money at the end of the day. EA owns this franchise now, so don't expect a decent new Theme Hospital any time soon, but SEGA has a Theme Hospital-like coming along, and it promises to be every bit as good, so much like how Project Coaster and Cities: Skylines have picked up their respective batons, perhaps SEGA's on the way to doing one too. So, what about you? 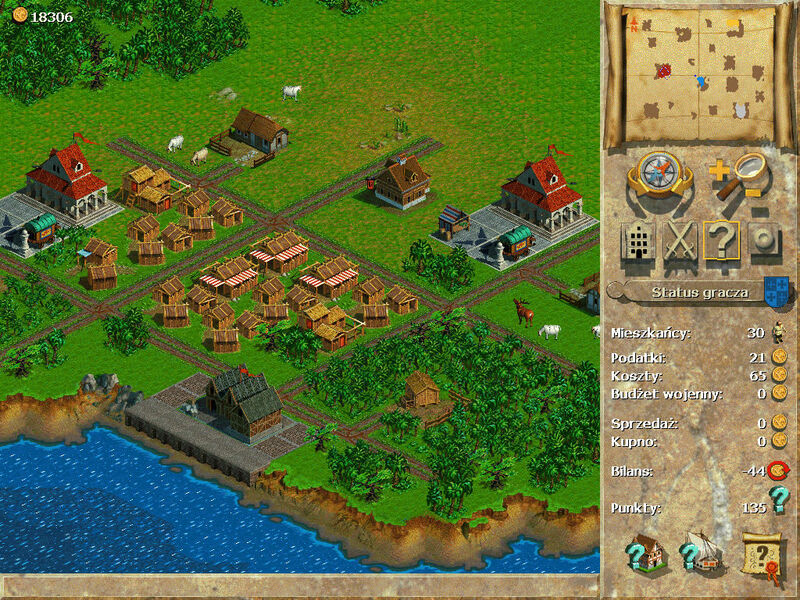 Have any favourite classic simulation games that I haven't mentioned above? Are there any modern examples of the genre that have you really hooked? Let us know in the comments!